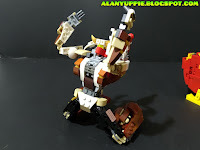 Not long ago, I made a Transformer giraffe. 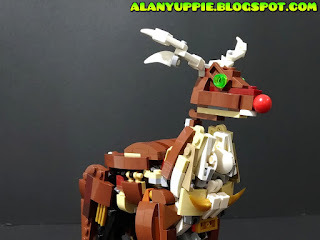 After that, I was asked to join an LEGO Xmas exhibition at One Utama, a local shopping mall in PJ, Malaysia. 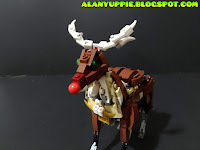 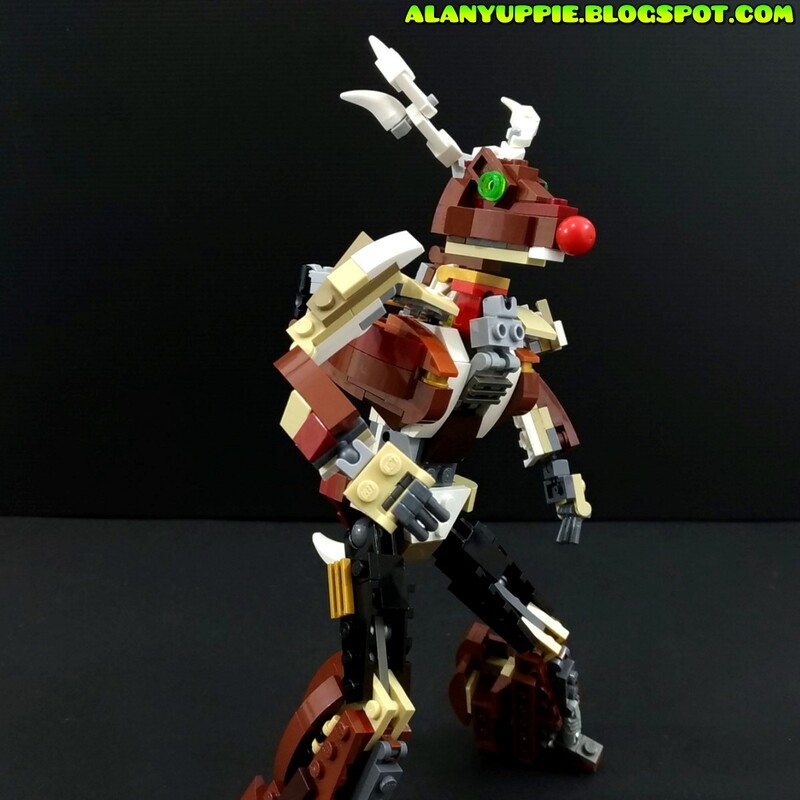 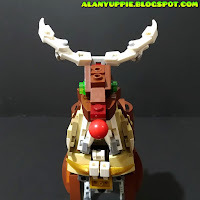 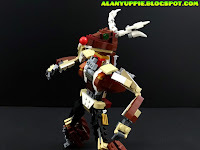 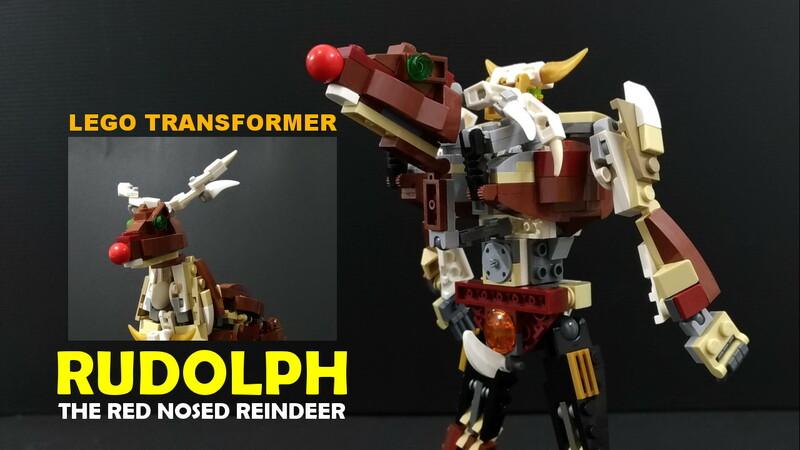 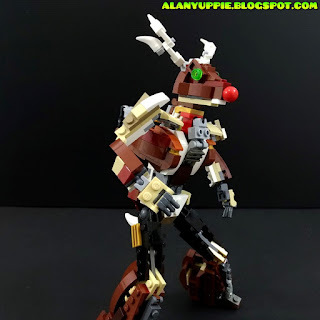 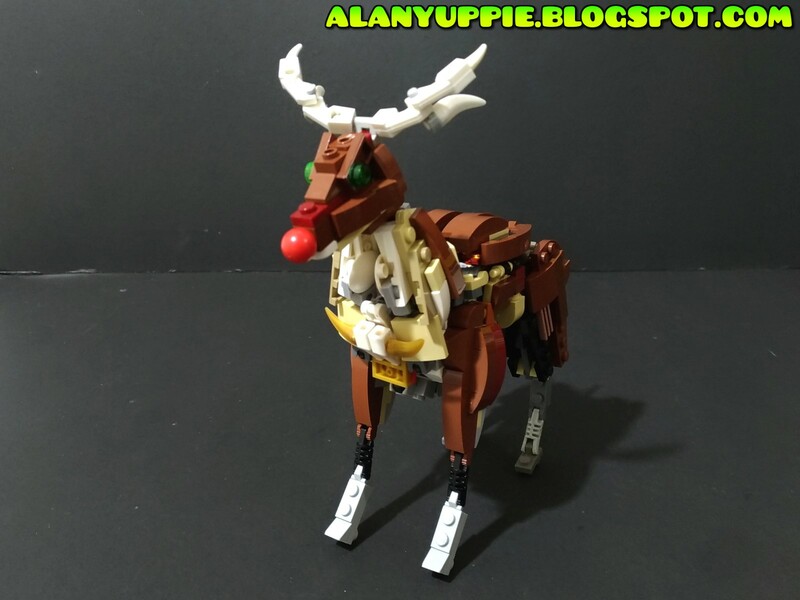 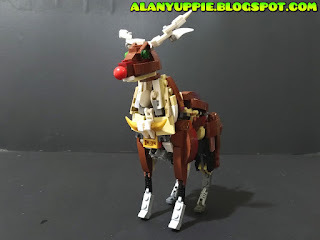 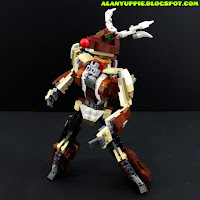 So I got myself busy and started to build something to fit the theme, so this Rudolph was born! 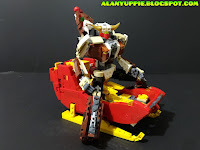 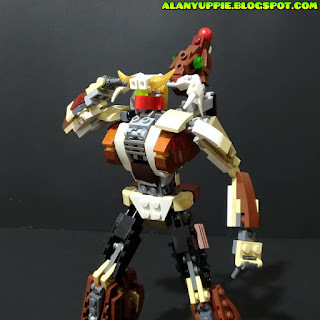 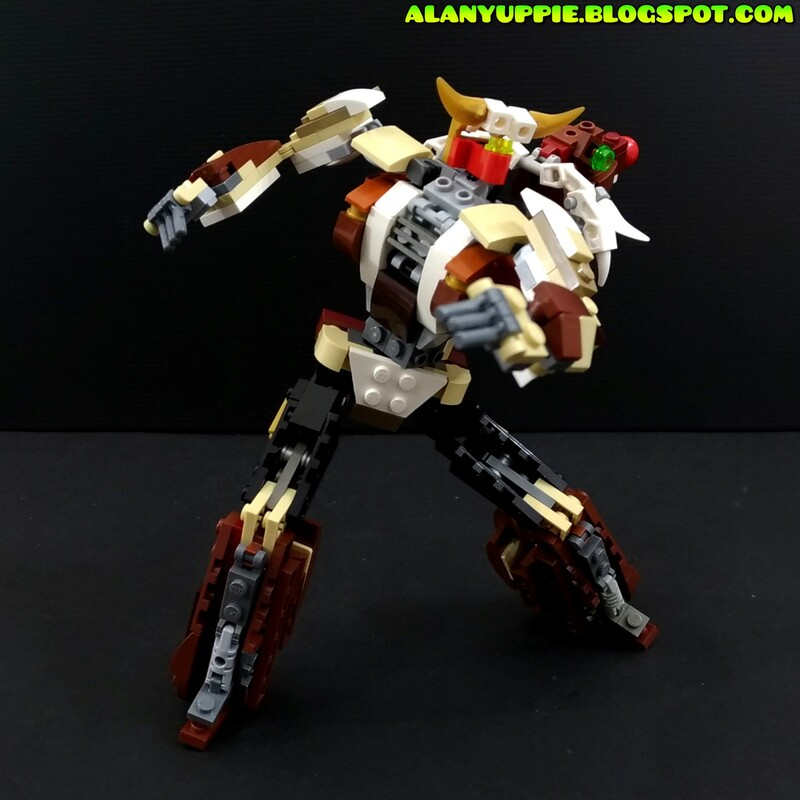 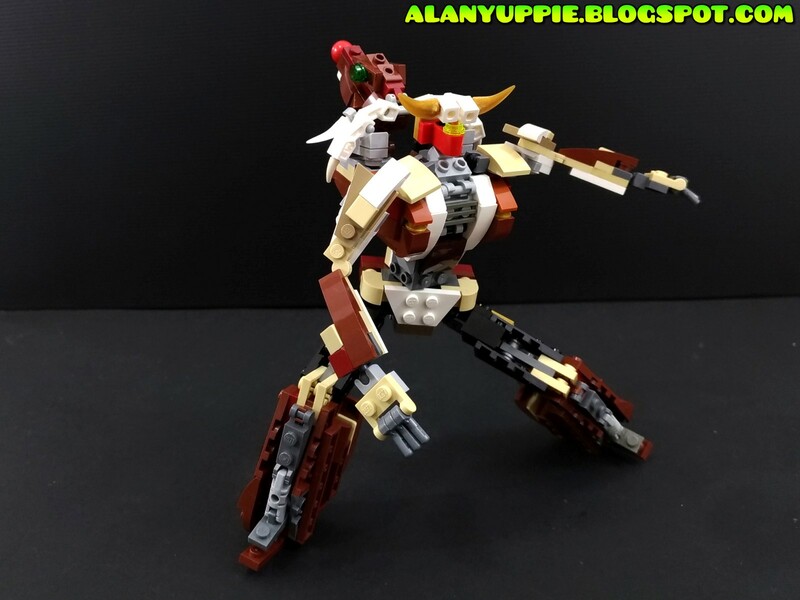 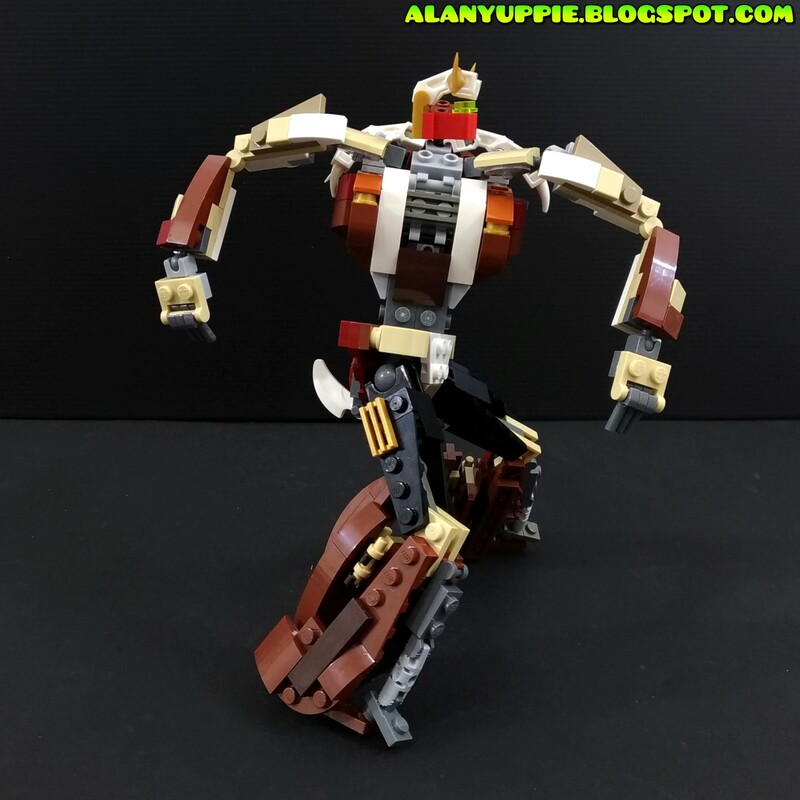 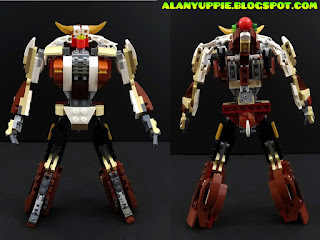 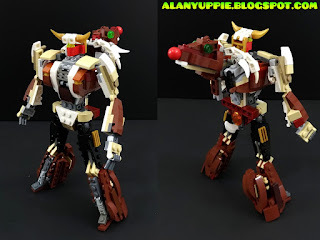 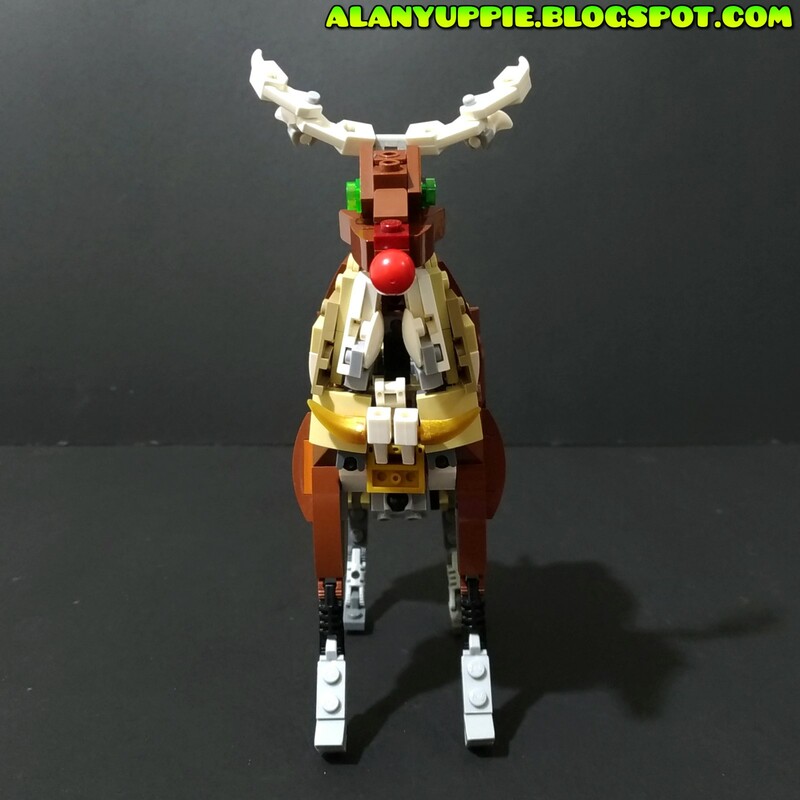 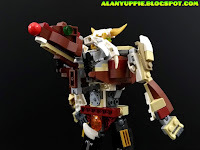 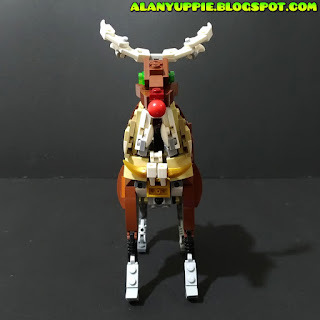 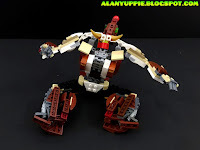 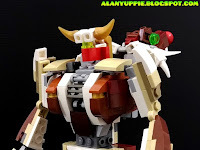 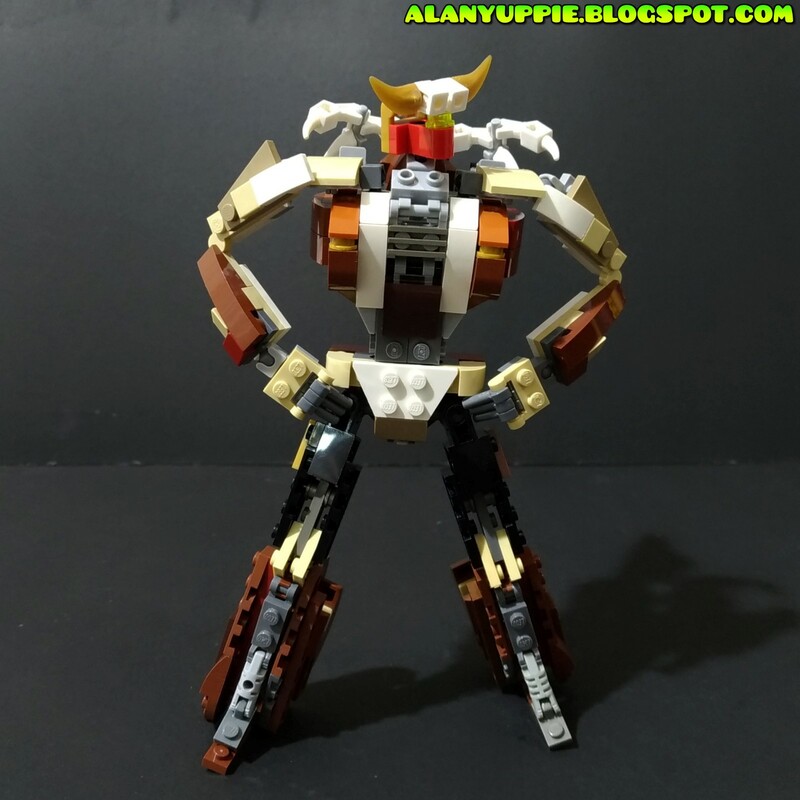 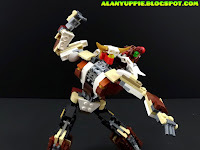 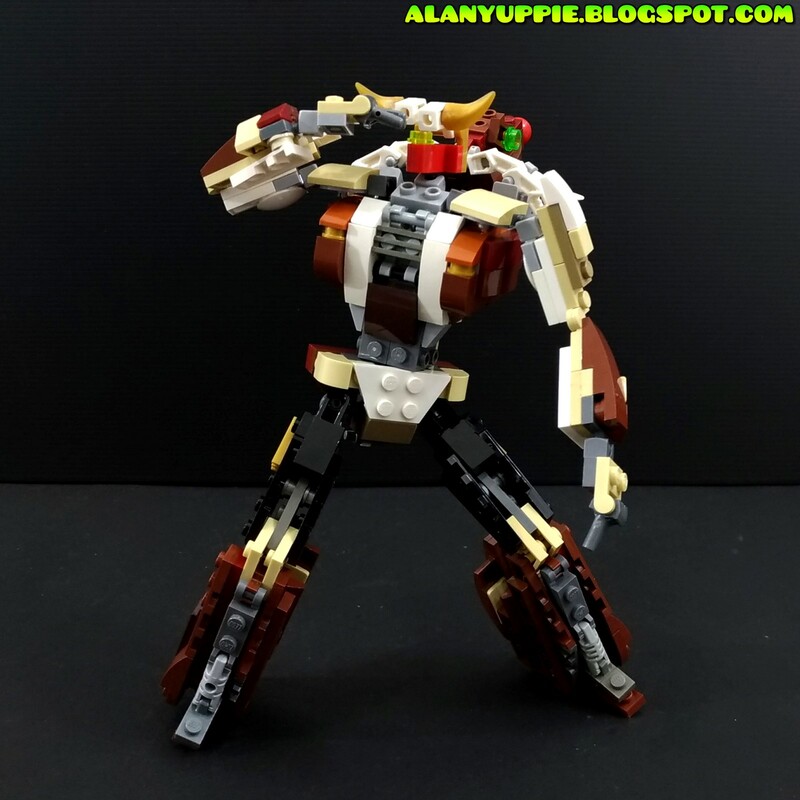 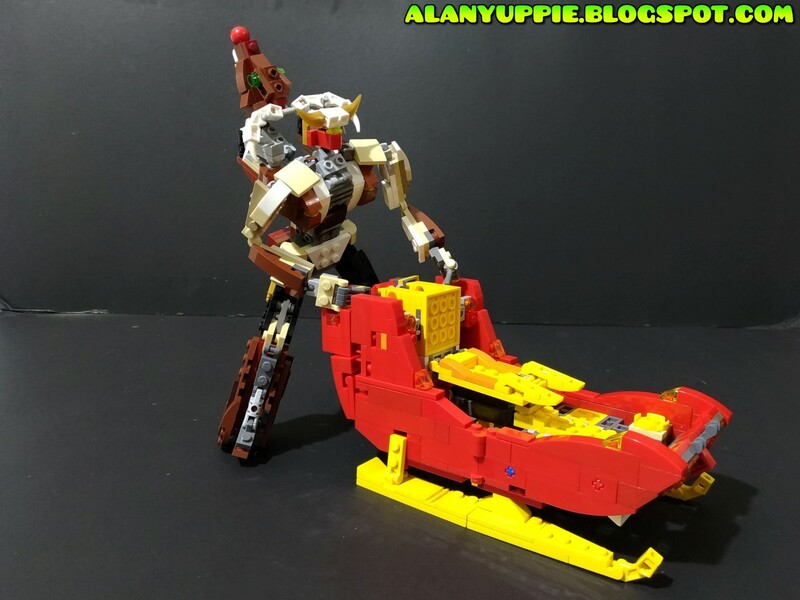 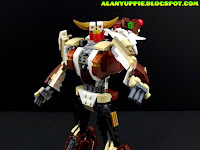 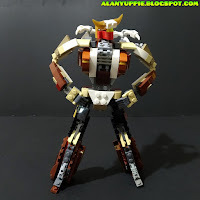 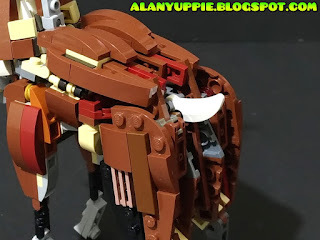 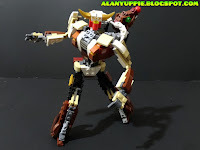 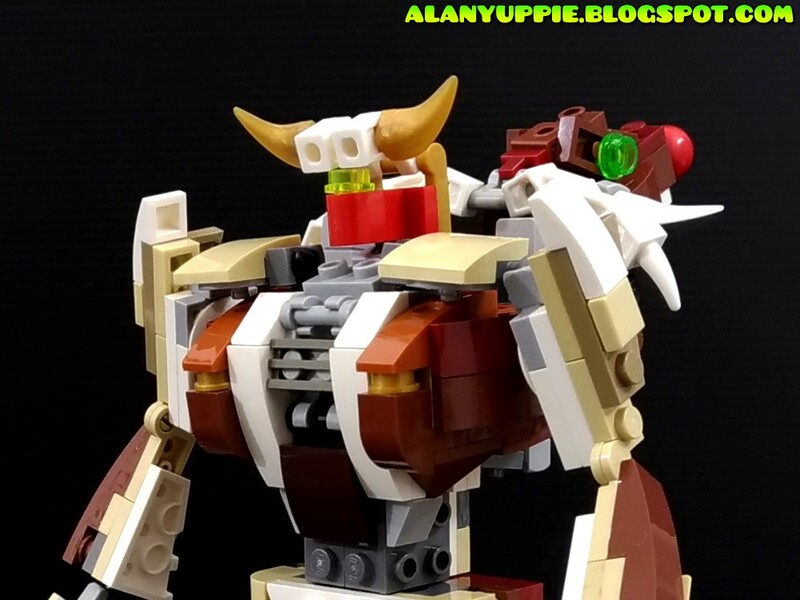 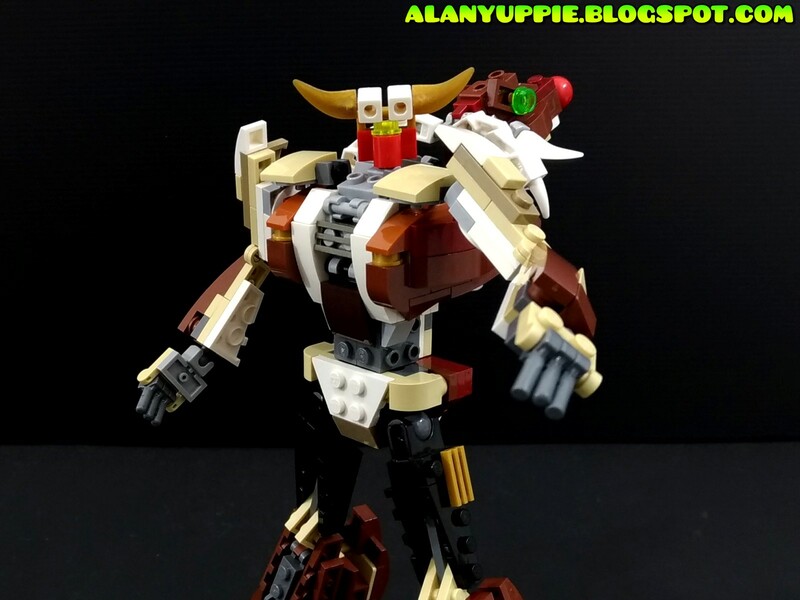 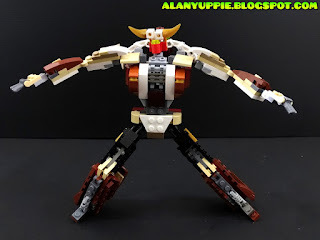 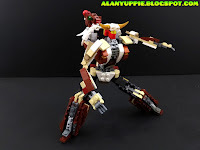 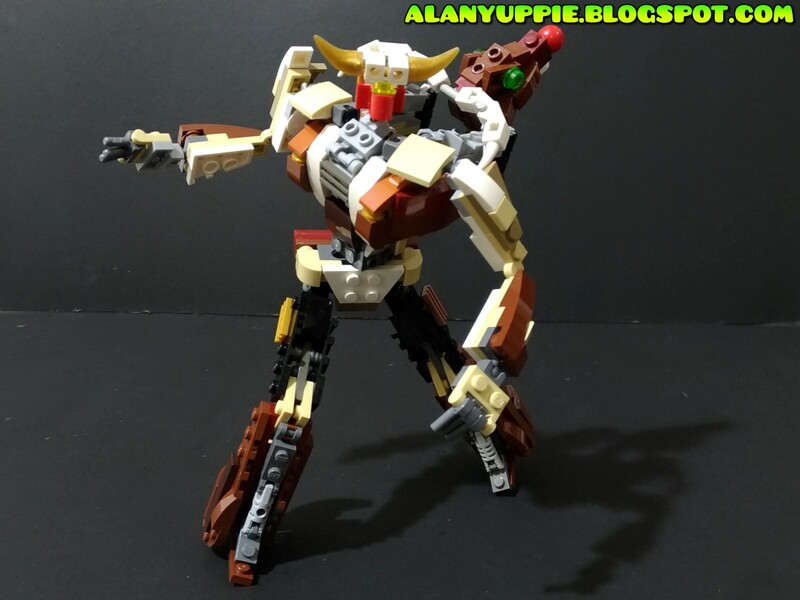 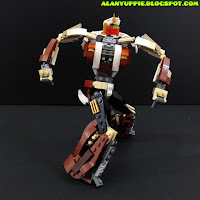 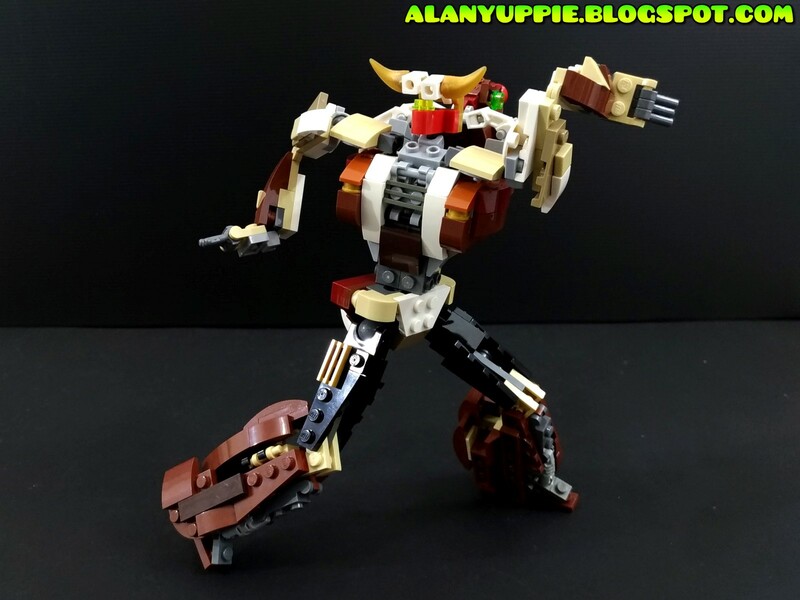 Half of the transformation style of this MOC took inspiration from my earlier LEGO Giraffe. 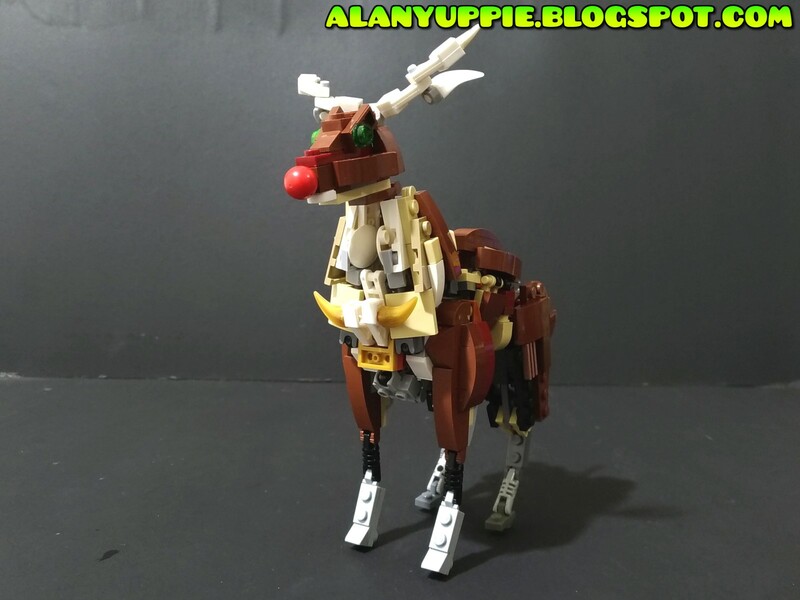 Compared to the giraffe, the deer legs are shorter so it's easier for them to tuck in snugly in robot mode. 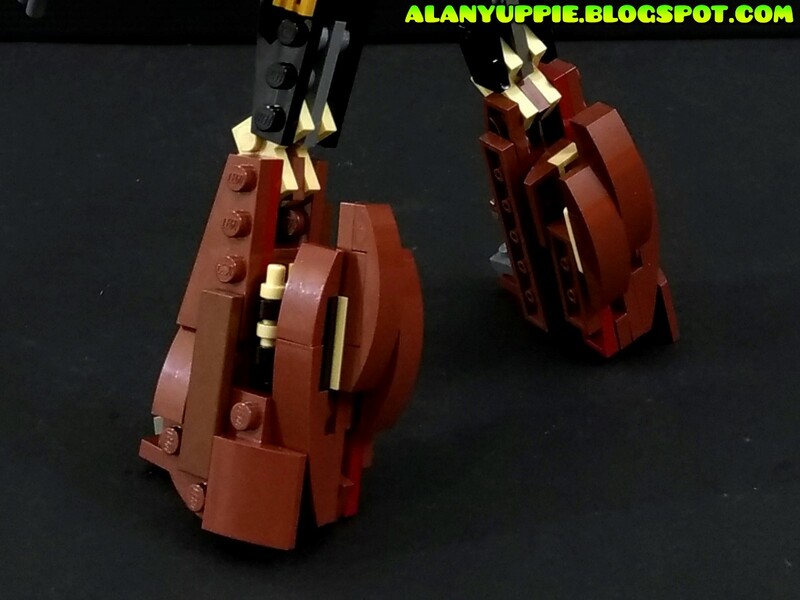 ...and the easiest part is probably his dainty-looking tail. 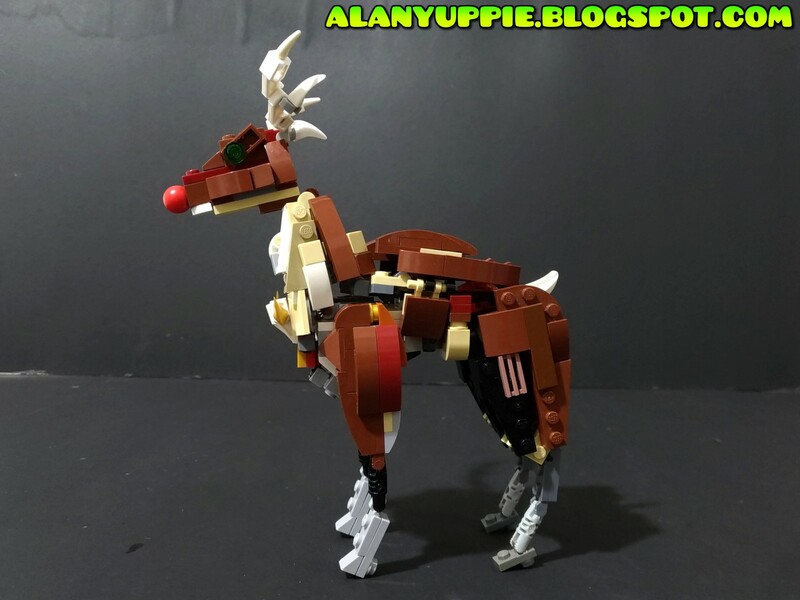 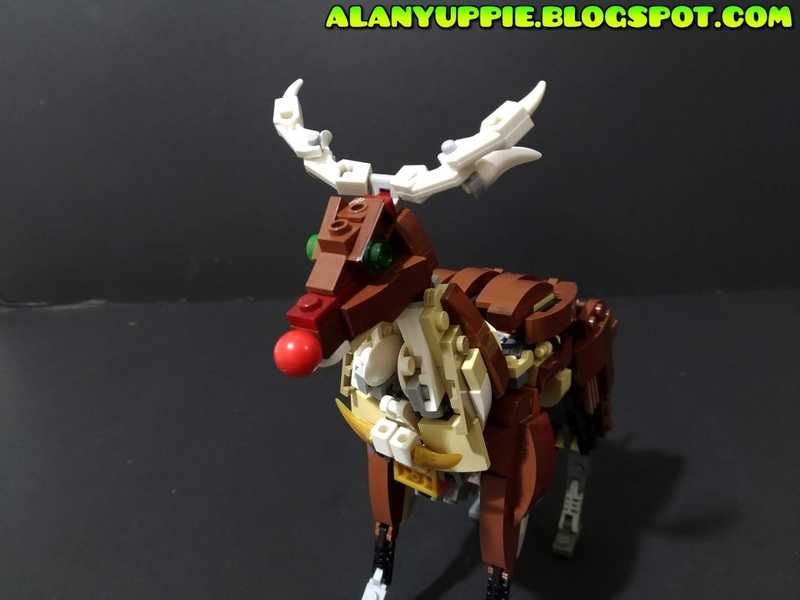 After analyzing photos of many reindeers off the web, I'm glad some has white and tan colored furs on their neck.. which makes it easy for me to conceal the hinge plates of such colors necessary to form robot arms. 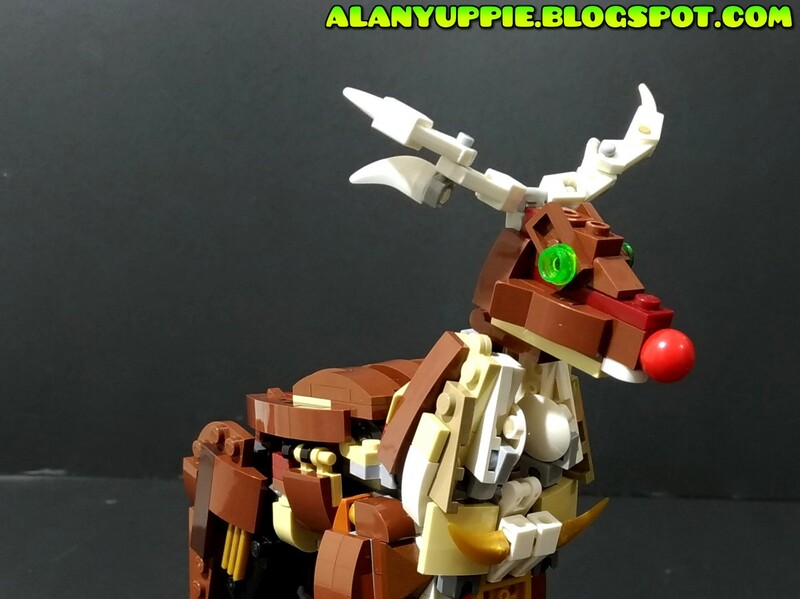 The inspiration behind the robot's red face is to pay "homage" to the deer mode's red nose. 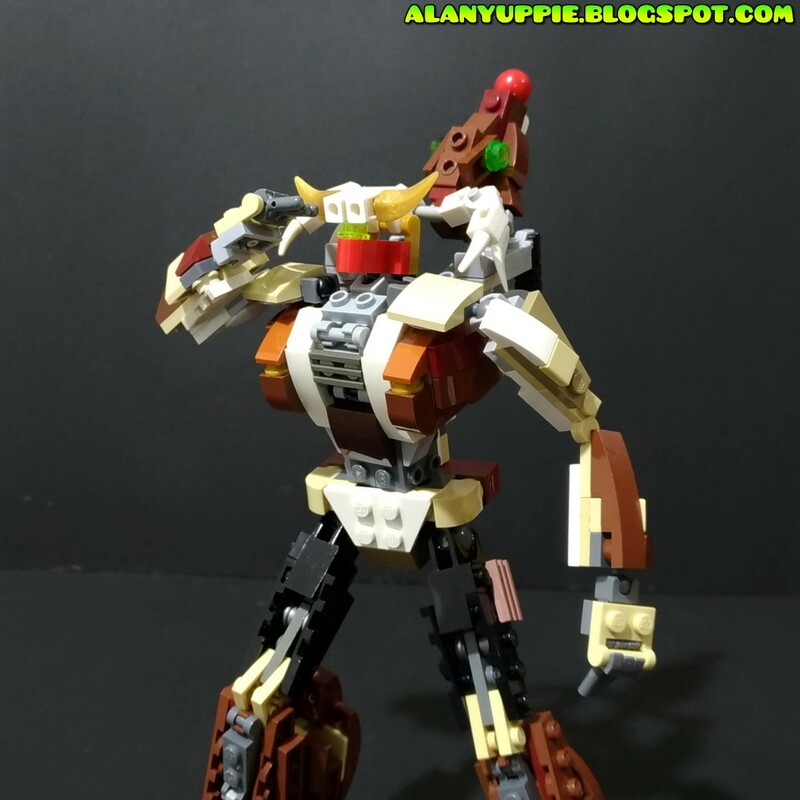 Silly, I know. 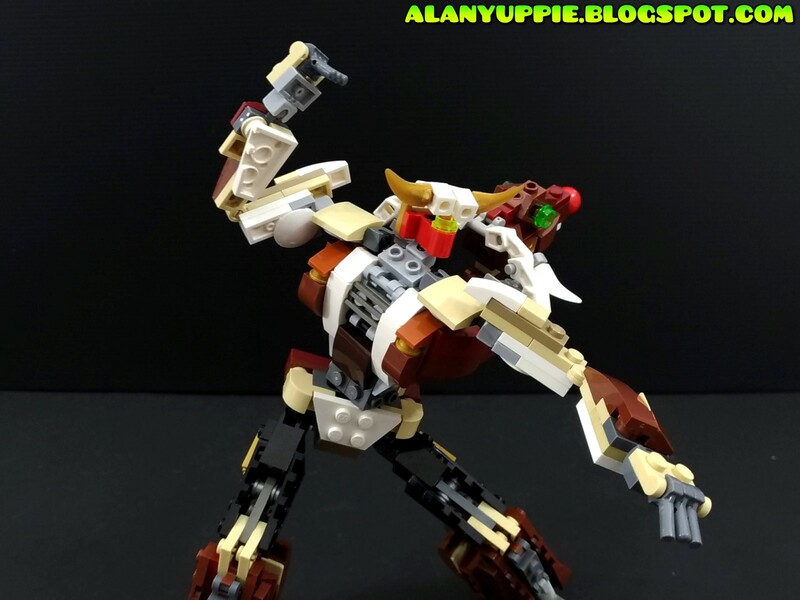 He's incredibly agile! 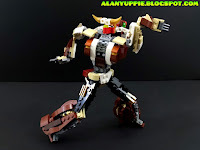 Walk like an Egyptian anyone? And for his final trick, beast head mode! 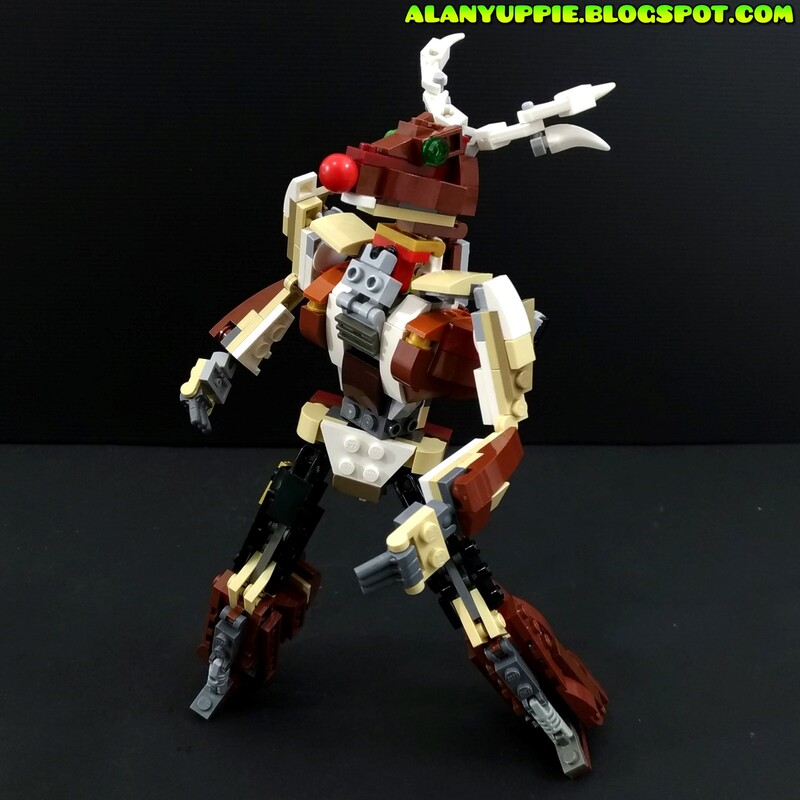 ... or shall I say, "Trick or Treat" mode. 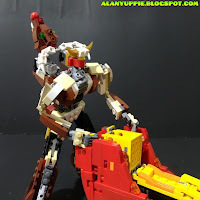 Thank You for reading this blog till the very end!! 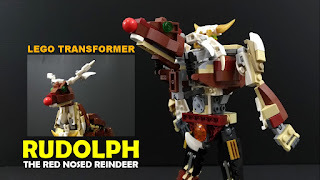 Overlord will definitely arrive next month coz I must wrap up my Xmas creations this month. 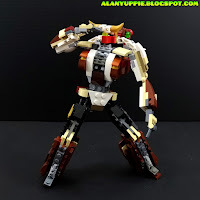 Can you post building instructions for this?